Ms. Rogg joined Odyssey Investment Partners, LLC in 2013 as Head of Investor Relations. 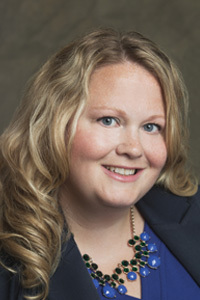 Ms. Rogg oversees Odyssey’s investor relations activities and fundraising efforts. Previously, Ms. Rogg worked for 12 years at Court Square Capital Partners as the Director of Investor Relations. Prior to Court Square, Ms. Rogg worked in the International Finance Group at Bristol-Myers Squibb in London and the finance and marketing division at Bristol-Myers Squibb in Princeton, NJ. A native of Massachusetts, Ms. Rogg received her B.S. in Business Administration from Northeastern University.